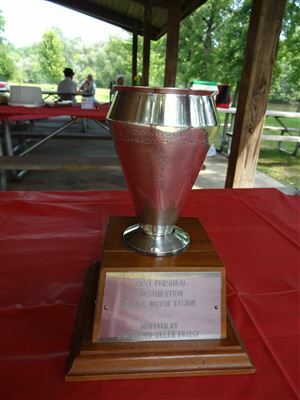 This is awarded to the vehicle that gets the most votes from the women at the picnic. The Best Owner Restored car. Where the owner did most of the resturation themselves. 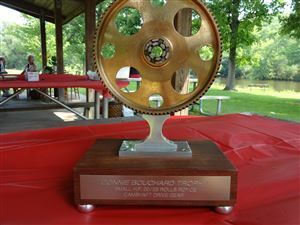 This is awarded to the best preserved 20 year old or older car. The vehicle must be an educational example for future restoration projects. 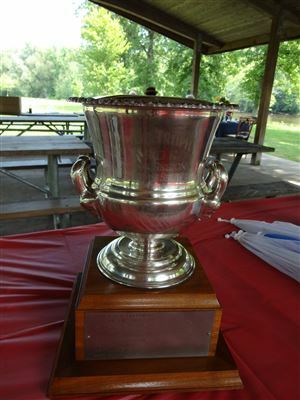 Partial repainting on damaged or rusted area's is OK. Warable items replaced with the original parts is OK. Interior carpet, leather and wood can be refinished, restuffed or repaired, not replaced. 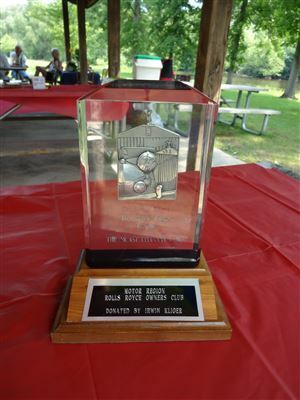 Awarded to the vehicle voted on children 18 Years or younger that attended the picnic. 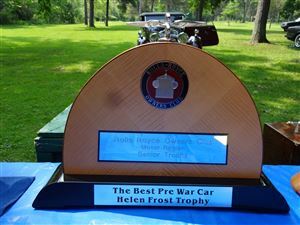 Is awarded to the best pre 1940 vechicle. 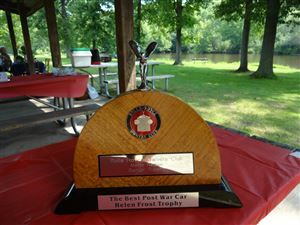 Is awarded to the best post 1940 to current series vehicle before 1999. 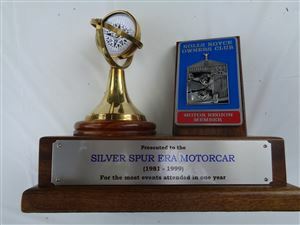 Is awarded to the best post 1999 to current series vehicles. 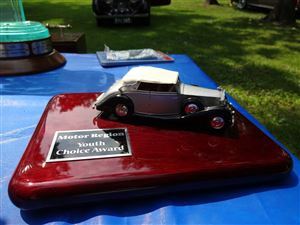 This Award is given to one of the quailfying vechicles from the past 2 years that one Best Pre-War, Best Post-War, Best New Era, or Best of Show. 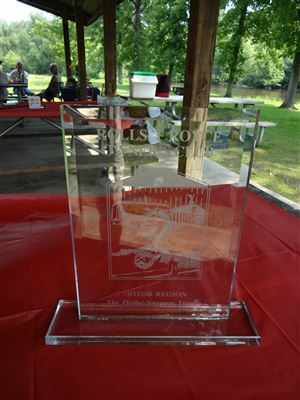 This is awarded to the best new member's vehicle that has been a member of the club for less than one year. 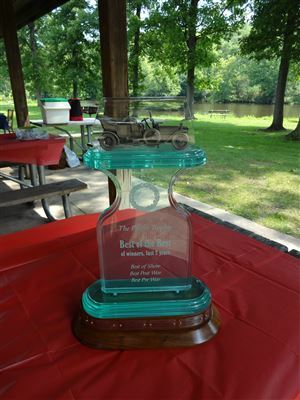 Awarded to the vehicle that is the Most Elegant at the picnic. 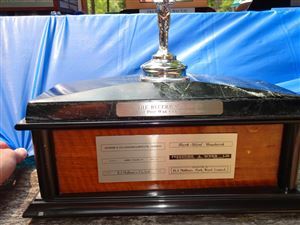 Award to the vehicle with the most unique apppointed and preserved interior. The best complete and combined presentation of vehicle, costume and picnic setting. 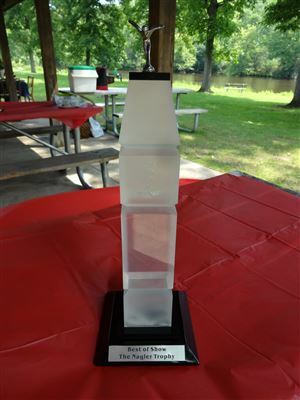 The award is given to the highest adjusted mileage vehicle of the last year. 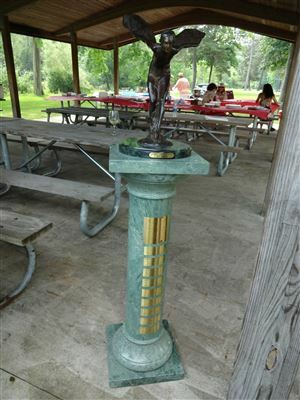 The vehicle must have attended two consecutive picnics or at least have the mileage recorded two years in a row to get a total number of miles. X 3.0 Pre War, 4 wheel brake w/o electric fuel pump. Late Ghost, late 20 HP, 20/25, P I & P II. X 3.5 Pre War 2 wheel brake cars. S. Ghost, early 20 HP. Donated by James Herrea, to encourage owners to develop a Rolls Royce, Bentely collection. Criteria: Two or more, Bentley or Rolls-Royce PMC of any age in running condition that are able to be fielded or inspected. Must be a Motor Region member in good standings. 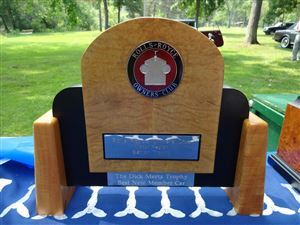 No award shall be given to any individual more than once in a ten year period. 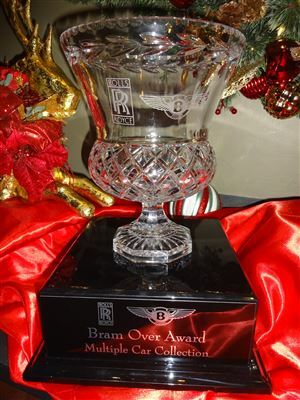 Awarded to the vehicle (1981-1999) Rolls Royce or Bentely that has attended the most RROC Motor Region and National events. 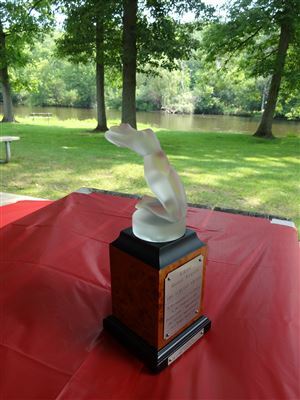 1 point for every sponsored Motor Region event and 2 point for every National event the PMC attends. The same vehicle is allowed to win 2 years in a row. 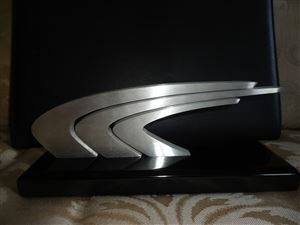 If there is a tie, the award will be given to the older car based on Year & VIN number. 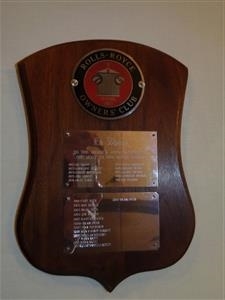 Award by the current Chairman to the person/persons they feel contributed the most with in the club. Mr. Presto / 1937 ?? Mr. Beaudoin / 1935 ? ?